Let’s face it; mistooks happen. We are all human after all, these things are going to happen from time to time. And these mistakes can be the failings of either an individual or a whole system and process. But there is no denying it; accidents and mistakes will happen. It is so important as a sales professional to be ready to stand up to these mistakes and get ready for any backlash that may occur. You see, as a sales person the likelihood is that you didn’t deliver the services of the goods yourself; you just acted as the person in the middle. Allowing for the transaction to flow from one to the next. However, the likelihood is that you will feel the full brunt from your customer. Simple. You are the face of the company you represent. You are the representative after all. So, whenever your customer thinks of your company, they are going to think of you. You are also the voice of the company; the one whom has negotiated and conversed the whole sale from start to finish. 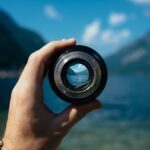 You are the most personable, relatable part of the business and it is with that good reason that you may be put in the spotlight when things go bad. First of all, if a client comes to you first; that means they trust you. They trust that you have the solution to the problem and you can help out in your time of need. With that in mind; do not start to pass the blame. It can be so easy whenever anything goes wrong during any sale to start blaming others and pointing your fingers at different departments or other organisations. However, you have to ask yourself; is this going to benefit the client in any shape or form. It is at times when things go wrong that people will turn to you for leadership. They will turn to you for guidance and support; so step up, and lead. You will always be judged on your mistakes. But you will be judged and remembered even more by the way you put things right. 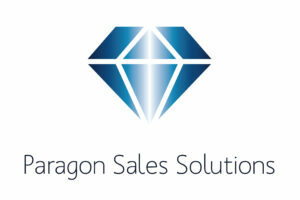 Here’s a nice story for you; Paragon Sales Solutions recently conducted a telemarketing campaign for a client. Upon completing the campaign, unfortunately the results were not as good as we would want to provide back. Through no fault of our own; the data was good, and the product that we were trying to market was good. But for whatever reason the campaign just did not generate what should be expected by a client. In this moment, I made a decision; I could either hand back the data to the client, shrug my shoulders and explain that things just did not click on this occasion. Or, I could plough more hours into it off of my own back and try to grab an opportunity for our client. I chose the latter. Simply because we want to deliver strong results. That is one of the reasons we were formed. Sure, this may not be considered a mistake as such, however it shows for our willingness to always put things right when things don’t necessarily go to plan and when we need to put things right. The key message I want to portray in this post is this; there are times when things go wrong. There will be times when a delivery is late, there will be times when the quality is not as promised. There will also be times when things just do not click as well as they perhaps should. In doing so, you will see that you will an increase in repeat sales, referrals and recommendations; and you will have a whole list of happy customers whom are thankful for the service you have delivered. And that is why you decided to get into business in the first place, right?